The oxidized brass charms measure about 1/2" across, and I solder a sterling silver earring post to each one. After I have tumbled them and am happy with the antiqued finish, I seal the backs with a protective enamel, to protect sensitive earlobes from the brass fronts. Ear nuts and posts are sterling silver. Simple and timeless. Great gift for any beekeeper, queen bee, or nature-lover in your life. 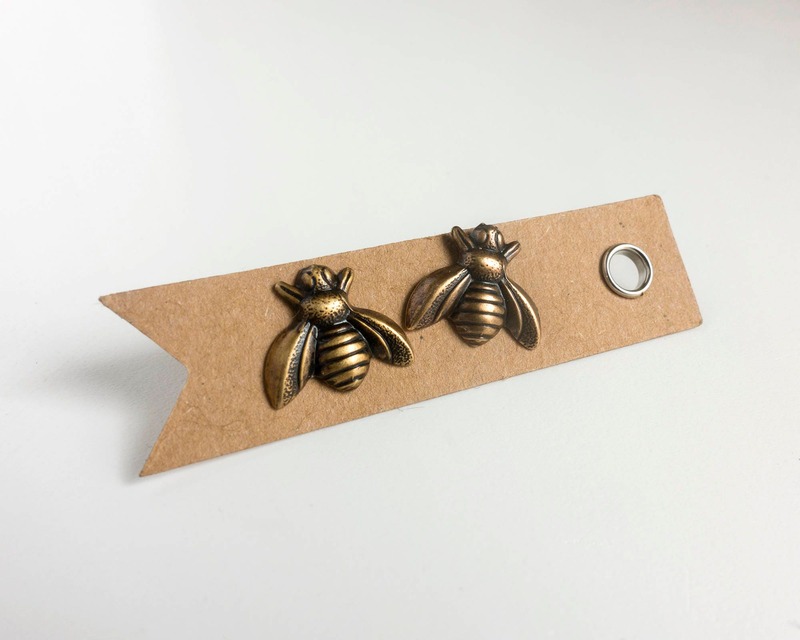 Perfect for the bee-keeper (or bee-lover) in your life! J. Toplolski is my favorite jeweler, and even though I can't buy from her in person in NYC anymore (I've moved), I'll keep ordering.